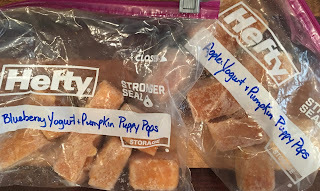 Super Easy ~ Puppy Popsicle's! First of all ~ please only use organic, natural yogurt without artificial or fake sugars. Artificial sugars are harmful to dogs. Additionally, only use 100% natural can pumpkin. 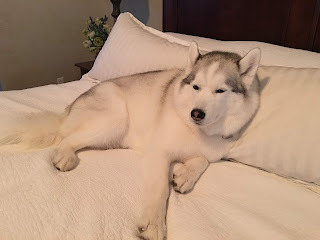 The "pie" filling variety has the spices in the mixture; do not use that for your pup. 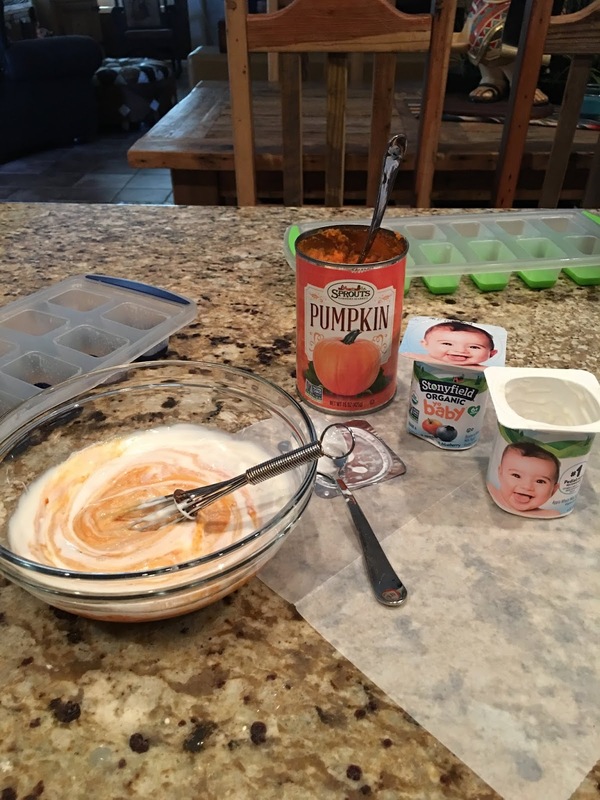 Simply mix yogurt with pumpkin; one to one ratio. Half yogurt, half pumpkin. Spoon into your ice cube trays and freeze. Remove from trays and package in freezer bags for easy access. I like Stonyfield Organic® YoBaby Yogurt and 100% Natural, organic canned pumpkin from Sprouts. Also If you have a big pup - like we do; please cut the frozen treat in half or thirds - to ensure there isn't a choking hazard.